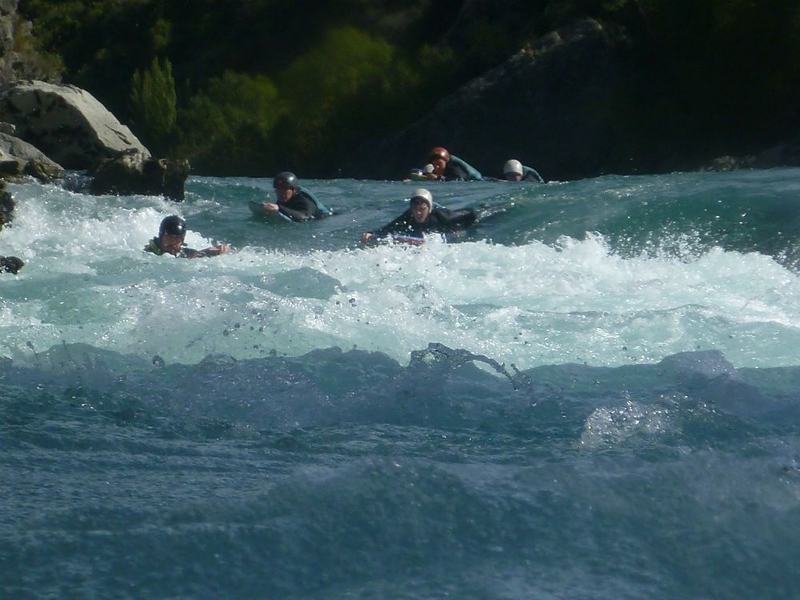 Riverboarding offer three levels of adrenaline adventure, in small personalized groups. 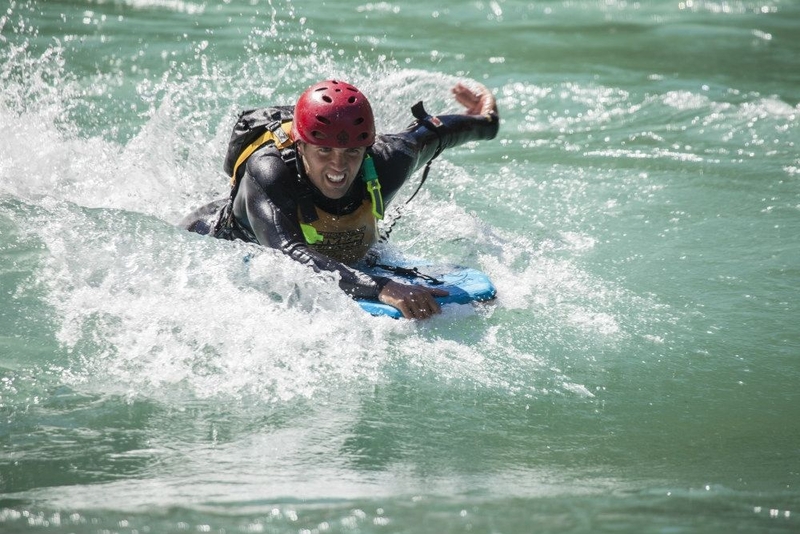 Join world river boarding pioneers to surf the historic Kawarau River. Experience fast flowing rapids, sheer drop cliffs and magnificent scenery as you navigate the aquamarine waters through a rocky gorge, with beautiful craggy bush-laden cliffs on either side of it. 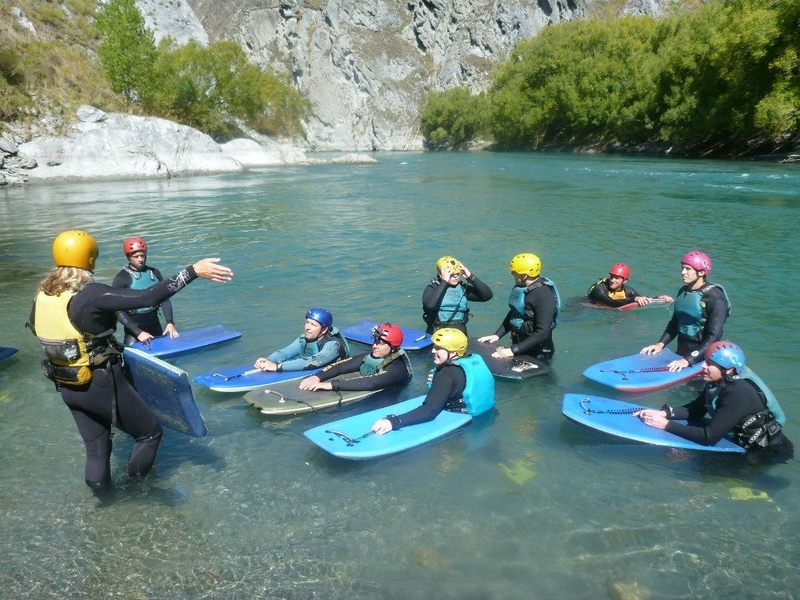 Riverboarding started in Queenstown 25 years ago and today, offers three levels of adrenaline adventure, in small personalized groups. 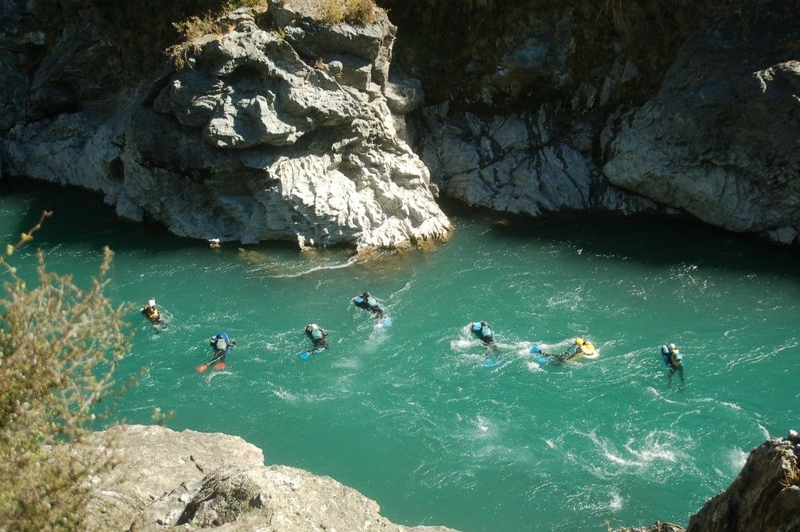 Fully qualified and experienced guides will train and lead you throughout half day trips. 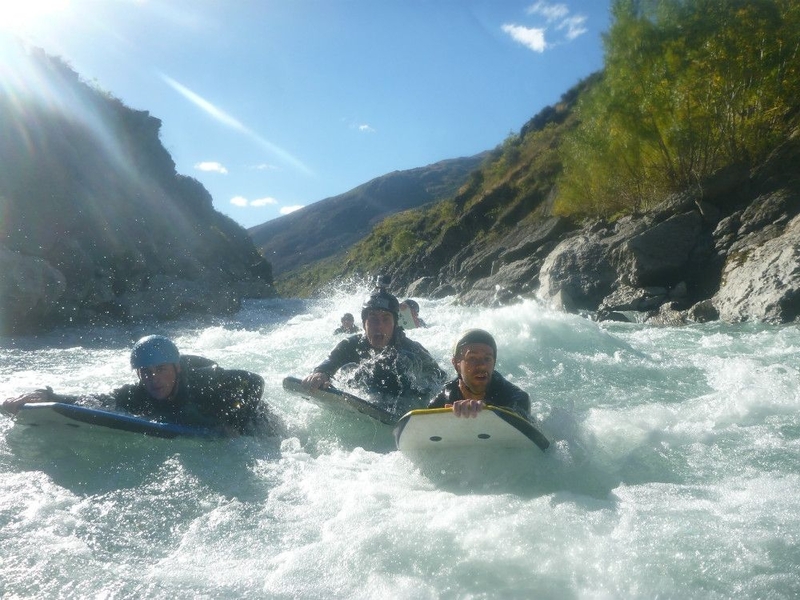 If you're going to do one water activity in Queenstown, it has to be Riverboarding. Experience a high volume river at a more gentle pace. Start off with an adrenaline boosting jet boat ride upriver. 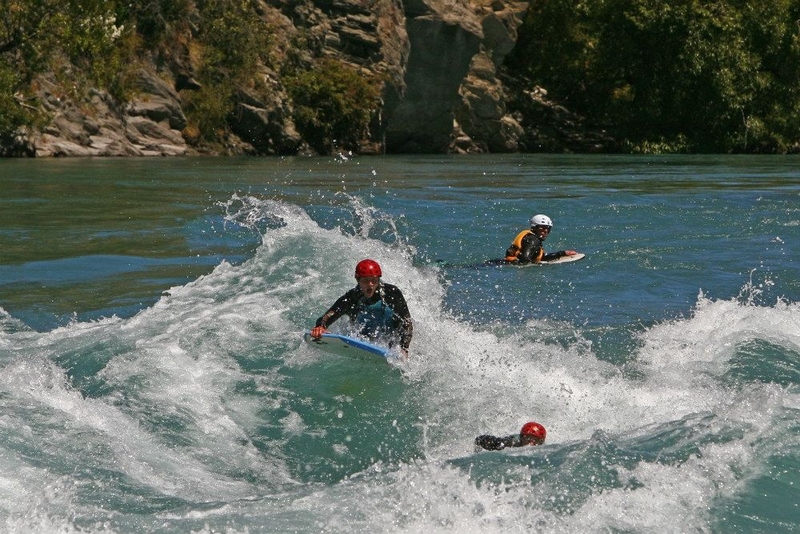 Then jump into the 'chill out' section of the Kawarau River and enjoy the scenery and beautiful water on a bodyboard. There's a delicious gourmet sandwich to end the trip. - Season runs from mid-January to mid-March. - Trip requires a minimum of 4 people to confirm. - Minimum age is 8 but you must contact the team first for prior arrangement for 8 to 12 year olds. - Maximum of 4 under 12 year olds per trip. Ride grade 2-3 Roaring Meg rapids on custom made river sledges, which are buoyant, manoeuvrable, easy to hold on to and channelled to fit the body comfortably. 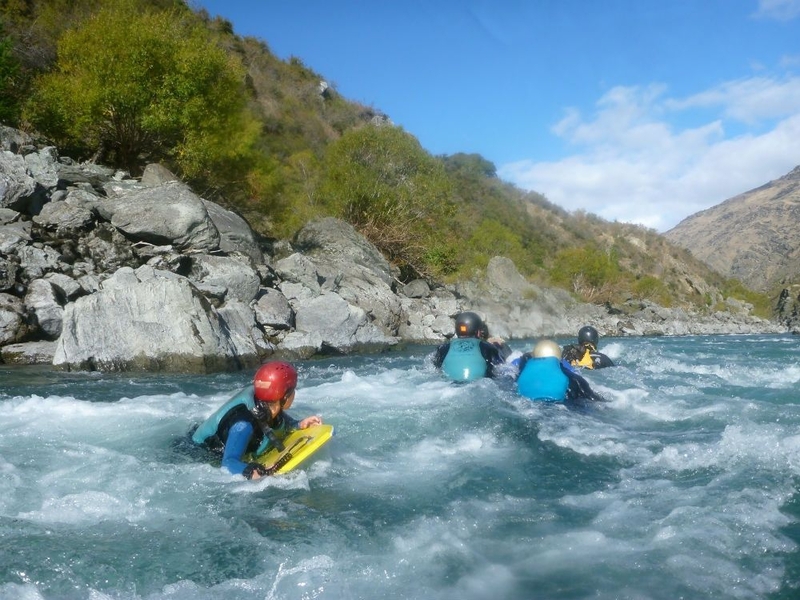 Sledging is the best way to get up close and personal with the mighty waters of the Kawarau River. 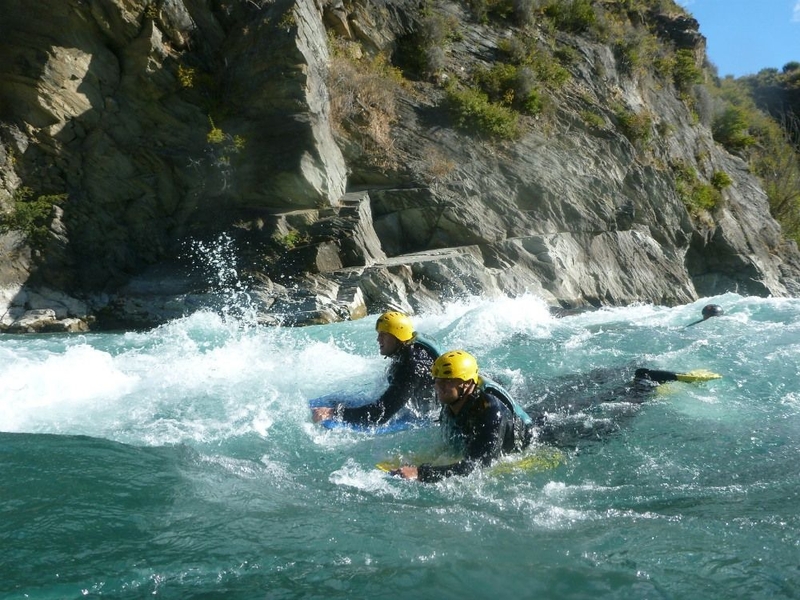 Experience fast flowing rapids, waves, boils, whirlpools, and a chill out final section, which allows enjoyment of the amazing Kawarau Gorge scenery. Then there's a delicious gourmet sandwich to end the trip. - Adults & Children: $225 per person. - Season runs from the 1st of November to the 3rd of April. - Trip requires a minimum of 3 people to confirm. - Minimum age of 12 years. 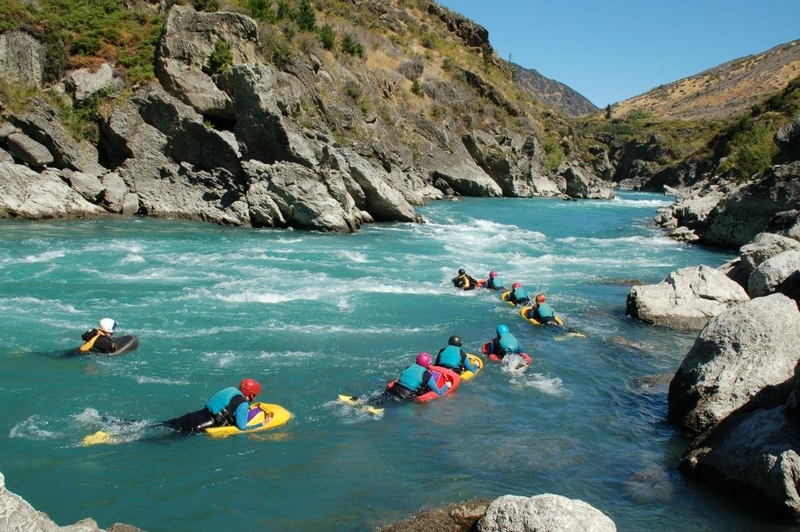 This exhilarating trip operates on two sections of the Kawarau, either on the Roaring Meg or on the Chinese Dogleg Section, depending on river flow and season. 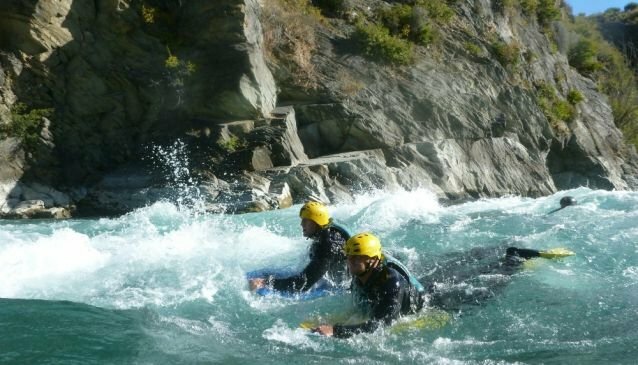 Conquer grade 2-3/4 rapids on a bodyboard. Optimize the rush by surfing waves, spinning in whirlpools, playing on eddy lines, and riding underwater currents. This high volume river is rocking with adrenaline! - Season runs from the 15th of September to the 30th of May. - Minimum age is 8 but you must contact the team for prior arrangement for 8 to 12 year olds. - Maximum of 2 under 12 year olds per trip. 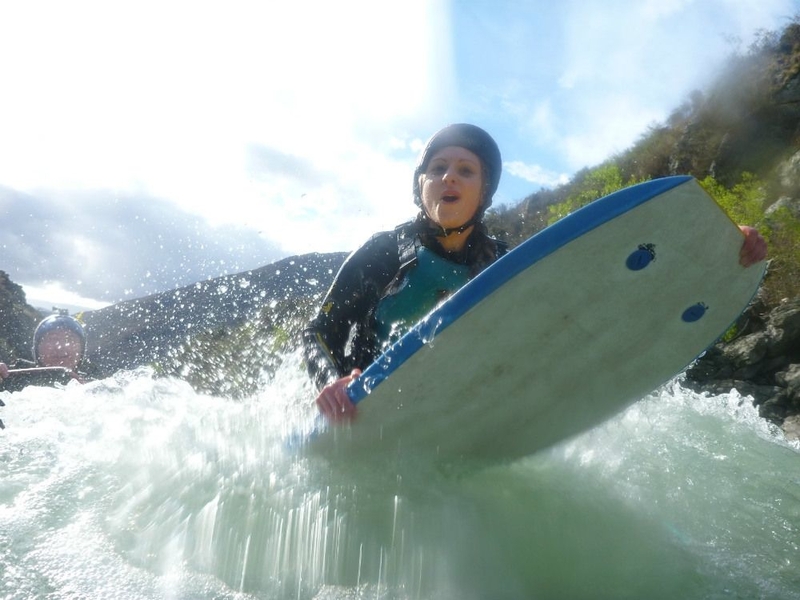 - Riversurfing - September, October and April daily at 1.00pm / November to March twice daily at 8.30am & 2.00pm / May daily at midday. - Sledging - November to March daily at 11:00am. - Drifting - Mid-January to mid-March daily at 11:00am. From Queenstown CBD, or en route from accommodation upon request. Or, self-drive to base. 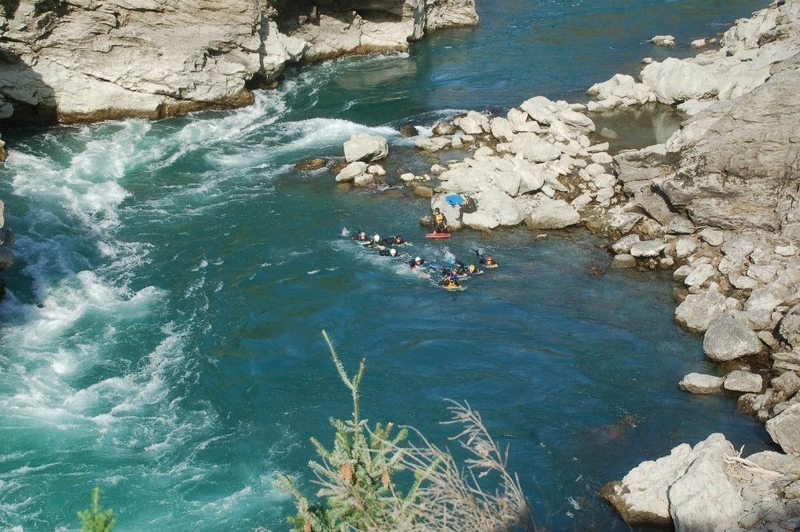 • Duration - About 4.5 hours with up to 2 hours in the river. • Supplied - 5mm full steam wetsuit, booties, life jacket, helmet, fins and board. • Please bring - Swimwear and towel, plus a sense of adventure!